Go to the MyATC Account Setup & Recovery page. How do I create an Automatic Reply? 1. At the top right of the Outlook Web App page, click Options -> See All Options. 2. A new window should appear and on the left side click Organize E-Mail -> Automatic Replies. 3. Select Send automatic replies then check the box next to Send replies only during this time period. 4. Specify the Start Time and End Time when replies should be sent. 5. Type in your automatic reply message. 6. If needed check the box next to Send automatic reply messages to senders outside my organization. How do I create an E-mail signature? Sign in to ATC email. 1. Open Internet Explorer and click on the Tools button. 2. Click on "Internet options". 4. Click Turn Off Pop-up Blocker to disable the functionality. If you want to choose which websites to allow and still keep the blocker functionality, click "Pop-up Blocker Settings" instead. Write down a list of websites you don't want Internet Explorer to automatically block. 1. Open Google Chrome, click menu on the toolbar. 3. Find "Show advanced settings" at the bottom of the page and click it. 4. Under "Privacy," click on "Content settings." 5. In the "Pop-ups" section, choose "Allow all sites to show pop-ups." If you want to choose which websites to allow and still keep the blocker functionality, under the Pop-ups section, choose "Manage exceptions" instead. Write down a list of websites you don't want Chrome to automatically block. 1. Open the Firefox menu after opening the browser. 3. Navigate to the Content tab. 4. 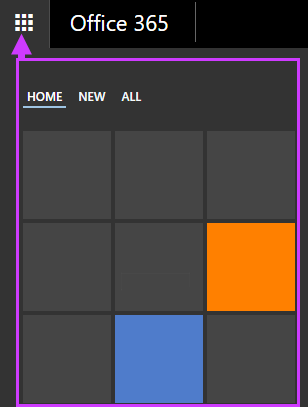 On the first option, un-check the "Block pop-up windows" box. This will disable the popup blocker function. If you want to choose which websites to allow and still keep the blocker functionality, to the right, choose "exceptions" instead. Write down a list of websites you don't want Firefox to automatically block. Access your Blackboard classes via the MyATC portal. Your Blackboard username and password is the same as your MyATC portal username and password. All Blackboard courses open on the FIRST day of class in the BlackBoard "My Courses" area. You will not be able to access your courses in your BlackBoard account in the My Courses box until the start date of the course. If you added the course on or after the first day of the term, you may experience a 48-hour delay in gaining access to Blackboard. If you still cannot access Blackboard after the 24-hour delay period and you've contacted your instructor, email support@atc.edu. In your message be sure to include your name as it appears in the college records and student ID, your course and section number (e.g., HIS-101-167) and a telephone number. For help with Blackboard, please contact the ISM HelpDesk by calling 803-508-7257, emailing support@atc.edu, or visiting room 219 from 8:00 a.m.-5:00 p.m. Monday - Thursday and 8:00 a.m.-1:00 p.m. on Friday. For questions regarding assignments, due dates, or other course-related questions, contact your instructor. Additional Online Learning tips can be found on the Online Learning Blackboard Help page. Go to the MyLabsPlus web address for ATC at: aiken.mylabsplus.com. Click on the name of your course in the course list. If your course name does not appear, contact your instructor. Register Your Student Access Code for the First Time. So far you have opened your MyLabsPlus course. To begin enjoying the benefits of MyLabsPlus learning aids and resources, you must register your Student Access Code. Click Homework under Course Home on the navigation tree (shown above), and click the homework link that appears in the course page. You will be asked to accept the License Agreement and provide your Student Access Code when you first click a link on one of the following pages your the MyLabsPlus course: Announcements, Calendar, Homework, Quizzes/Tests, Gradebook, Study Plan or an individual chapter. Select the Access Code option, enter your Access Code in the Enter Your Access Code text entry box, and click Next. If you do not have a Student Access Code, you can select the Buy Now option. Click the Buy button and submit your credit card information. Now that you have registered your Access Code, a confirmation page informs you of the site(s) you have access to and that you will be receiving a confirmation e-mail. Confirm that your Access Code has been registered, click Return to Course. You are automatically logged in and will see the MyLabsPlus area that you originally selected, whether Homework, Study Plan etc. Please thoroughly review the “Popular Solutions” section before you move forward with requesting a ticket, if a solution to your particular situation is not present in the “Popular Solutions” section continue to “Submit your Request”. Determine which “Request Catalog” option best fits what you are experiencing. Use the drop down menu under “Request Catalog” to make a selection. Once you have made your selection from the “Request Catalog” click on the appropriate tab. Include all request details in your incident report so that we are best able to assist you. Be sure to capture any issues you may be experiencing in the “Description” field. You also have the option to add an attachment to your request. Finally, to submit your ticket, click “Add request”. Please note you also have the options to “Reset” the request form or “Cancel” your ticket request. New requests can be generated by emailing helpdesk@atc.edu with the problem summary in the subject line and detail in the body as well. Please note if you are unaware of the particular category of your request utilize the “General Request” category under the most appropriate “Request Catalog” options. Please be sure to include all request details in your incident report so that we are able to best assist you. To check on the status of your ticket simply click on “Requests” and you will be able to access helpful information like which technician the ticket is assigned to and if your ticket is still open or has been closed. You also have the option to “Reply” to your request adding additional information to an open ticket. You can do this by clicking “Request” then clicking the ‘Subject” field and then clicking “Reply”. Before submitting requests please utilize the “Solutions” tab for common solutions to general problems. Remember, new requests can be generated by emailing helpdesk@atc.edu with the problem summary in the subject line and detail in the body. ISM will ensure that students can log into Blackboard and access their courses. At the beginning of each semester all students are enrolled in the Blackboard site: “Online Learning Success Orientation". If the student reports an issue that is related to course site operation; e.g. a tool not functioning properly, a test not showing up, etc… this needs to be reported to his/her instructor. The instructor will work with TTC as needed to correct the issue. These tools may be “linked from” Blackboard using a building block. If so, students typically click on a link within Blackboard and then sign into Pearson using a separate account. This is typically used for items such as MyWritingLab or MySkillsLab. After initial sign in, students may be able to click on the link from within Blackboard and go to Pearson e site without logging in a 2nd time. These tools also may be “bridged” from Blackboard using MyLabsPlus Bridge. If so, students will not need to sign in again when they reach the Pearson Web site. To enable this single sign on, ISM sends registration info to Pearson each semester. These tools may be “linked from” Blackboard using building block or regular Web link. If so, students typically sign into Cengage (Aplia/MindLinks) using a separate account. After initial sign in, students may be able to click on the link from within Blackboard and go to Cengage site without logging in a 2nd time. ECHO videos are linked from Blackboard using LTI Integration. Students click on a link within their Bb course to go to the ECHO site. Their credentials are passed from Bb to ECHO. A second log in is not required. To view videos, the only system specification are certain browser requirements (pop up blockers need to be disabled). If a student reports an error message when attempting to turn in an assignment, please send message number to TTC. TTC will contact the company regarding the issue. If students need help with using these tools they should contact TurnItIn support. Student registration information has not yet passed from Colleague to Blackboard. Instructor has not yet made the course site available. Confirm that student is registered for the course via Colleague. If so, info will pass into Bb on a regular basis. Use Bb admin interface to determine whether or not course is available. If not, instruct student to contact his/her instructor. An Internet glitch or user error may have caused accidental submission of incomplete test/assignment and because of assignment settings a student cannot re-take/submit. This may happen with Bb and other tools that manage test/assignments such as Pearson or Cengage products. The student needs to talk with her/his instructor about re-setting the test/assignment. Browser not compatible, pop up blocker on. The student needs to check the browser to make sure it is supported and ensure that the pop up blocker is turned off (Recommended Browsers). Then he/she will need to click on ECHO link again. A contact list is a collection of contacts. It's sometimes also called a distribution list. You can specify a contact list as a recipient when you compose an email message. When you send the message, it goes to all of the contacts in the list at the same time. For example, you might create a contact list named "My book club" and add all of the members of your book club to it. Then to address a message to everyone in the club, you would only have to enter My book club on the To: line of the email. Under My Contacts in the left pane, select the folder that you want to create the contact list in. If My Contacts is selected rather than a particular folder, the new contact list will be created in the Contacts folder. NOTE: Before you create a new contact list, make sure you select the folder in the left pane that you want to create it in. After you create a contact list, it isn't possible to move it to a different folder. To store a contact list in a different folder after you create it, you can delete the contact list and then re-create it in the other folder. You can select Discard to cancel your changes at any time. Otherwise, when you’re done, select Save to save your changes. You can edit contacts or contact lists that you create or import into Outlook on the web. You can't edit contacts that you get by connecting to a social network account such as LinkedIn. For information about importing contacts from another email account or email program, see Import contacts to Outlook for Windows. In the middle pane, check the box next to the contact or contact list that you want to edit, and then select Editon the toolbar. To create a contact folder, right-click or press and hold My Contacts in the left pane, and then select New folder. To move a folder from Other contacts back to the main list of your folders under My Contacts, right-click the folder and then select Move to "My contacts". When you select My Contacts, the middle pane displays all of your contacts and contact lists. At the top right of the middle pane, there's a drop-down menu that you can use to narrow and sort the contacts and contact lists that are displayed there. The name of the menu describes the sort order that's currently being used. The default menu name is By first name, because that's the default sort order. The Display section, where you can choose People if you want to view only the contacts that are people, or choose Lists to view only the contacts that are contact lists. The Display Order section, where you can choose First last or Last first to control the way each name is displayed. The Sort Order section, where you can choose from options such as Last name, Company, and Work city. The sort order that's being used determines the name of the menu. For example, if the current menu name is By first name and you change the sort order by selecting Last name, the menu name changes to By last name. Note: If you are a new employee, you will have 30 days to complete this training. If the training has not been completed during this time, your account will be disabled until the training has been completed. Listed in the body of the email you will see your login information. The password is a temporary one time use password. You will be prompted to change your password when you login the first time. SCDIS-200 Information Security and Privacy Standards require all state agencies to employ encription mechanisms to protect the confidentiality of information stored on digital media during transport outside of controlled areas. Users will be asked to encrypt any USB devices connected to their computer. Users can create their own password that must meet minimum requirements. All passwords should contain 8-16 characters, should not include common words or names, and should combine uppercase and lowercase letters, as well as numbers. Insert the USB flash drive, click Start, and then click Computer. Right-click the USB flash drive, click Start, and then click Computer. Use A Password to unlock This Drive - Select this option if you want the user to be prompted for a password to unlock the drive. Passwords allow a drive to be unlocked in any location and to be shared with other people. Use My Smart Card to Unlock the Drive - Select this option if you want the user to use a smart card and enter the smart card PIN to unlock the drive. Because this feature requires a smart card reader, it is normally used to unlock a drive in the workplace and not for drives that might be used outside the workplace. On the How Do You Want to Store Your Recovery Key page, click Save the Recovery Key to a File. In the Save BitLocker Recovery Key as dialog box, choose a save location, and then click Save. On the Are You Ready to Encrypt This Drive page, click Start Encrypting. Do not remove the USB flash drive until the encryption process is compete. How long the encryption process takes depends on the size of the drive and other factors. Insert your encrypted flash drive/device into a USB port on your computer and wait for Windows to recognize it. A pop-up window will automatically appear on the right corner of the screen telling you that the drive is Bitlocker protected. Click or tap on the pop-up to go to the next step. Then you will be asked to enter your password.